Over the next 12 months, 55% of B2B marketers plan to increase their content marketing budget, a sure-fire sign that more marketers are seeing content marketing as a legitimate strategy rather than just a trend. Content marketing is becoming a widely accepted element of marketing plans among many businesses. But to some high-level managers and executives, it’s still just a buzzword – often associated with household name brands. As a result of this misconception, pitching higher-ups on content marketing and social media may not get you far. However, although those in management may not understand the latest and greatest in marketing, they do understand helping your audience, especially when it leads to your audience spending money with your brand. How your resources could be better used: Rather than concentrating your pitch on the ever-elusive concept of content marketing, emphasize the notion on which content marketing was built – helping, teaching, and entertaining your customers. This small change in positioning can be the difference between getting funding for your content marketing initiative or not. The first step in the content marketing process is usually creating a strategy: Outline how you will achieve business goals and objectives, define roles and responsibilities, timelines, measurement metrics, etc. (You can download CMI’s guide on how to document your content marketing strategy.) However, a strategy is only useful if you actually use it. How your resources could be better used: Regrettably, many businesses spend resources on building a well-documented strategy – never to reference it again. CMI research shows that not only do you need to document your strategy, but you also need to use it. However, you can achieve content marketing success without a complete “60-page” strategy. Content calendars, templates, checklists, and even a one-page strategy can go a long way – especially when piloting a new program. Content shock is the theory that while the content supply on the Internet is growing exponentially, content demand is flat. Of course, as content marketing becomes more mainstream, more and more content is being produced and published. Some businesses waste their time hand-wringing and debating the value of content marketing and inevitably get lazy and complacent, resulting in poorly crafted content being promoted and distributed across the web. How your resources could be better used: Get beyond the content shock. Instead of worrying about the potential burst of the content bubble, focus your efforts on creating high-quality content that is useful to your audience. Content has been around since the days of the caveman. The best content always rises to the top. Yes, being a great storyteller can have advantages when it comes to content creation, but it certainly isn’t necessary for every piece of content. Often people get so caught up in the storytelling aspect of content marketing that they forget about the task at hand: Create content that is truly useful to your audience. How your resources could be better used: Your content doesn’t need to win the Pulitzer Prize, but it does need to address audience pain points, fill content gaps, and educate. Creating content personalized to audience pain points is arguably the most important part of any content marketing strategy. But to do that, you need to know exactly what your audience’s pain points are. What better way to find out what your audience cares about than to ask your employees who spend the most time with customers? How your resources could be better used: Some marketers may not see the value in involving other departments and teams in the content marketing process, but salespeople and customer service representatives can be extremely valuable resources. As they spend so much time speaking with clients and customers, they know the most common customer complaints, problems, and frustrations. This insight can be used to brainstorm, plan, and create content. It’s understandable to spend time double-checking content for typos and errors before hitting “publish” (you can view this publication checklist from Heidi Cohen). But letting small, insignificant details hold up the publishing process can sometimes do more harm than good. Yes, creating high-quality, compelling content is necessary, but it doesn’t need to be perfect. How your resources could be better used: The truth is: Sharing a short video or social media post that’s useful is much more efficient than spending time working on a long-winded blog post that’s “perfect,” but not as impactful. Put more time into providing the best, most relevant, and helpful information to your audience in a consumable way, rather than striving for perfection every time. Remember, content waiting for approvals isn’t working for you, it’s just collecting dust. Though concentrating only on certain metrics can be limiting at first, measuring everything can be costly as well. Many businesses get in the weeds trying to measure too much, spending long hours analyzing social media metrics like retweets, shares, and brand awareness, yet not understanding what the data means or if it’s even useful. How your resources could be better used: What information is really necessary to measure your ROI? I suggest clients spend the majority of their time measuring traffic, leads, and sales, which I consider to be the most important metrics for calculating return. Once you understand the most important metrics and their impact on ROI, only then consider taking a deep dive into additional analytics. 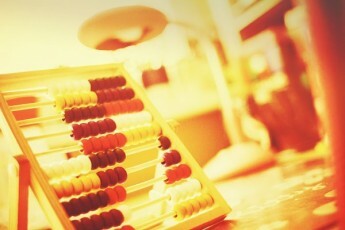 With analytics in hand, too many businesses see value only in the direct ROI metrics – conversions, sales, and leads. Engagement metrics also can be quite telling. As social networks can drive traffic, increase your reach, and help to build relationships with your audience, some engagement metrics can illustrate where your audience hangs out online and what type of content is most popular. How your resources could be better used: Consider referral traffic. What sites are driving the most traffic to your content pages? That is where you should focus your promotions. Also, look at the time on page to see where users are investing their time, as that content resonates most with your audience. Though engagement metrics can’t always directly correlate to your bottom line, they can help you measure success in more qualitative ways. In summary, content marketing can be an expensive endeavor, but it doesn’t have to be. There are many ways businesses can stretch budgets and resources while still achieving success. Getting engrossed in developing a full-fledged strategy, speculating on content shock, and measuring every metric under the sun can cost you more than time and money – it can cost you your sanity. Focus on what content marketing is all about – helping your customers – and you will see results. What other mistakes can cost businesses time and money with content marketing? Share your thoughts in the comment section. Want to get more out of your resources? Sign up today to receive the Content Marketing Institute’s daily email with tips and insights, and receive exclusive content from CMI Founder Joe Pulizzi to improve your content marketing efforts.